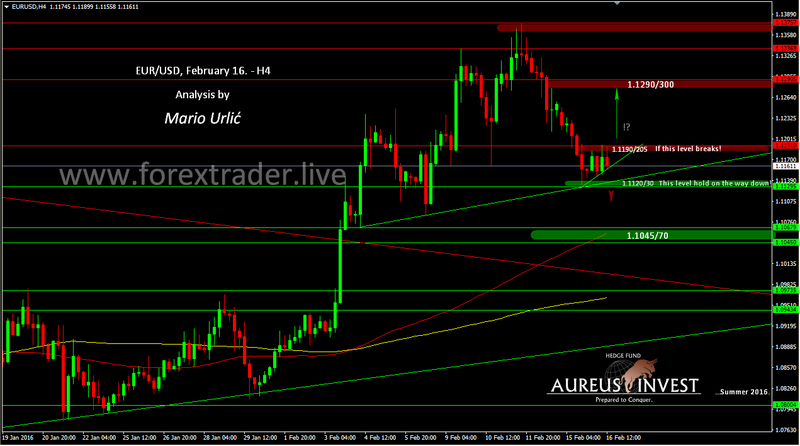 EUR/USD, possible break on the way up!? If you take a look at my H4 chart, you can see an ascending triangle and possible break up, but only if the buyers manage to pass true the 1.1190/205 resistance. Possible target is 1.1260 > 1.1300. On the way down, H4 up trend line is holding first, daily the stronger one second at 1.1120/30. Let’s see what will happen here!? Regardless on this intraday analysis and possible development, please pay attention to my EUR/USD analysis and view from February 12. Let’s try to take this.